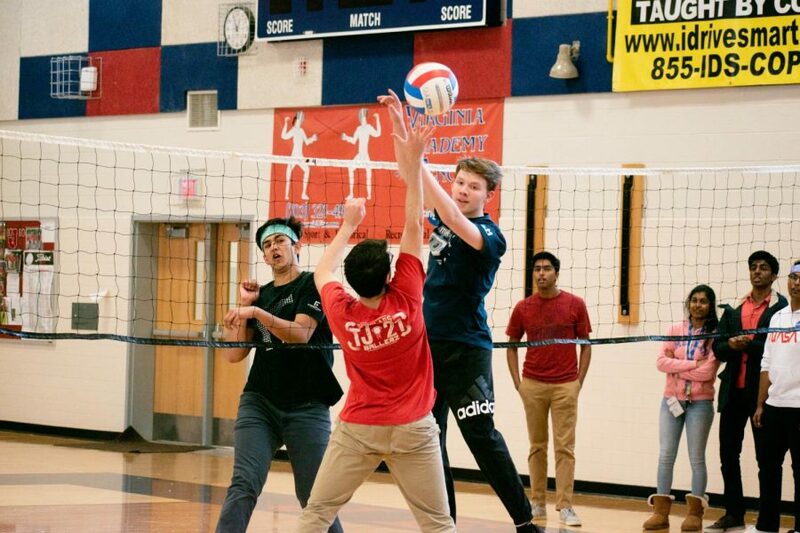 Sophomore Luke Thistlethwaite misses a block and hits the volleyball towards sophomore Aditya Behrani during a March Mania match. Although his team put in a good effort, they were eliminated quickly. “[The tournament] was fine in general but for a $20 entry fee I would've preferred double elimination so the [less experienced] teams, like mine, get to play at least two games,” Thistlethwaite said.